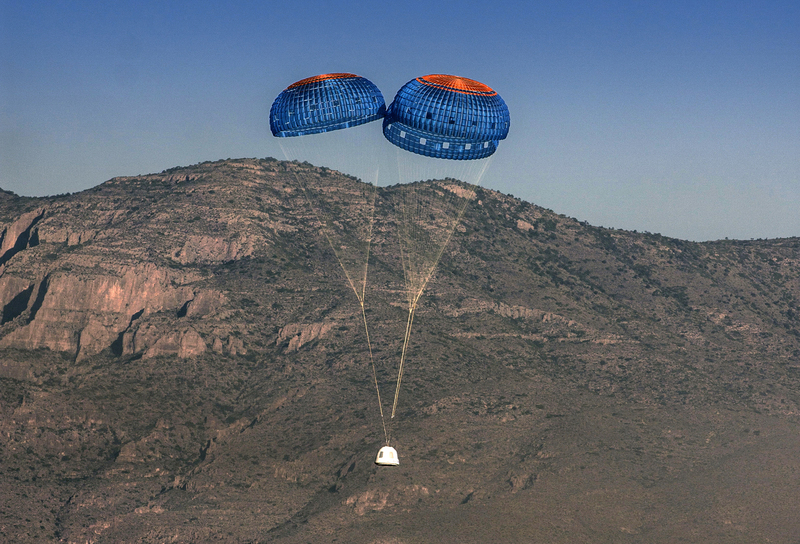 NASA’s Commercial Crew Program sends a hearty congratulations to Blue Origin today after the company performed its first developmental flight test of the New Shepard spacecraft and booster! The flight test saw the prototype spacecraft soar to 307,000 feet above West Texas on Wednesday before the spacecraft separated and parachuted back to the ground. 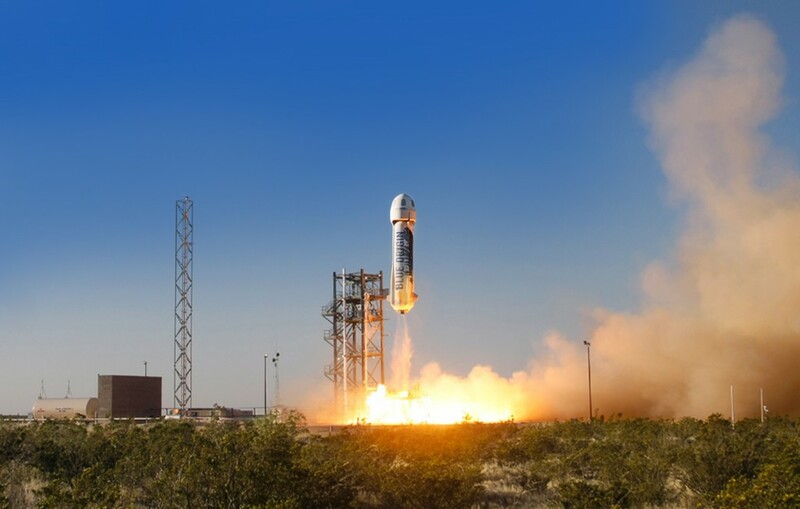 Blue Origin, the company behind the spacecraft, booster and the new BE-3 liquid-fueled, cryogenic engine, worked with Commercial Crew early in the development of the vehicle and rocket engine though NASA did not have a hand in this flight test. 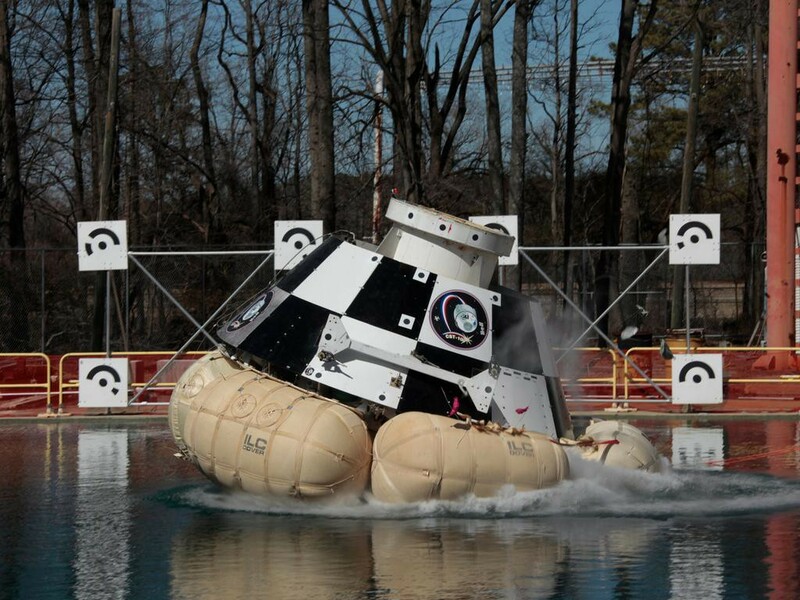 The media briefing previewing the test will take place at 10 a.m., Friday, May 1 in the Press Site TV auditorium at Kennedy Space Center in Florida. This briefing will air live on NASA TV. The ability to abort from a launch or pad emergency, and safely carry crew members out of harm’s way, is a critical element for NASA’s next generation of crewed spacecraft. SpaceX will perform the test under its Commercial Crew Integrated Capability (CCiCap) agreement with NASA, but can use the data gathered during the development flight as it continues on the path to certification. 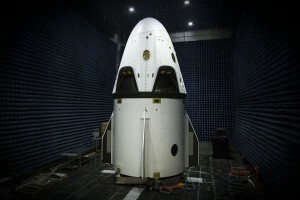 Under a separate Commercial Crew Transportation Capability (CCtCap) contract, NASA’s CCP will certify SpaceX’s Crew Dragon, Falcon 9 rocket and ground and mission operations systems to fly crews to and from the International Space Station. Green card holders must submit a scanned copy of their cards to jennifer.p.horner@nasa.gov for processing no later than noon Monday, May 4. Questions about accreditation also may be addressed to Jennifer Horner by email or at 321-867-6598. Badges for the briefing will be available for pickup Friday, May 1 at the Kennedy Badging Office on State Road 405, east of the Kennedy Space Center Visitor Complex. Kennedy Badging Office hours are 6 a.m. to 3 p.m. Badges for the abort test will be available Tuesday, May 5, beginning at 8 a.m., and Wednesday, May 6, beginning at 4 a.m. at the Press Accreditation Office on State Road 3 in Merritt Island. Two forms of unexpired, government-issued identification are required to receive a badge. One must be a photo ID, such as a driver’s license or passport. On test day, media should plan to arrive at the press site by 5:15 a.m. for transportation to the viewing location at CCAFS. Long pants and closed-toe shoes are highly recommended. 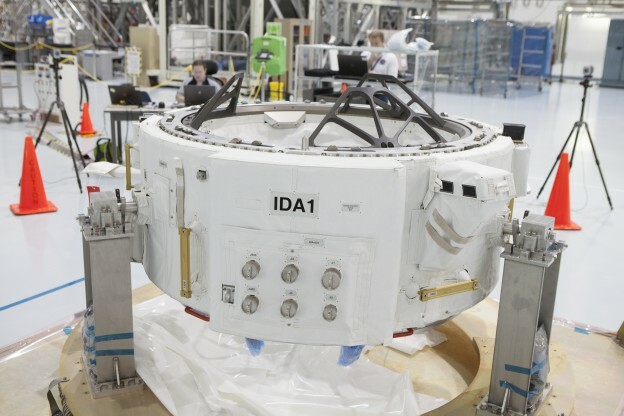 In the next year, the International Space Station will gain two new docking ports for spacecraft visiting the orbiting laboratory, including the Boeing CST-100 and SpaceX Crew Dragon under development in collaboration with NASA’s Commercial Crew Program. Earlier this year, NASA astronauts conducted three spacewalks to rig the power, data, and communications cables for the docking ports. The next step is to add the International Docking Adapters that will provide a flawless fit between the space station and any visiting spacecraft so crews can safely move between them through connecting hatches. The first docking adapter now is deep into processing at Kennedy Space Center to prepare for its delivery to the station on the seventh SpaceX commercial resupply services mission, scheduled to launch no earlier than June 19. 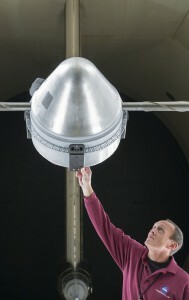 The second adapter will go through similar processing later this year for launch on the ninth SpaceX resupply mission. Engineers will continue in-depth analysis and measurements of the ports before they are launched. Commercial Crew providers, Boeing and SpaceX, are using the precise measurements and standards of the adapters and space station as they build the spacecraft and docking mechanisms they will launch to carry astronauts to the station. 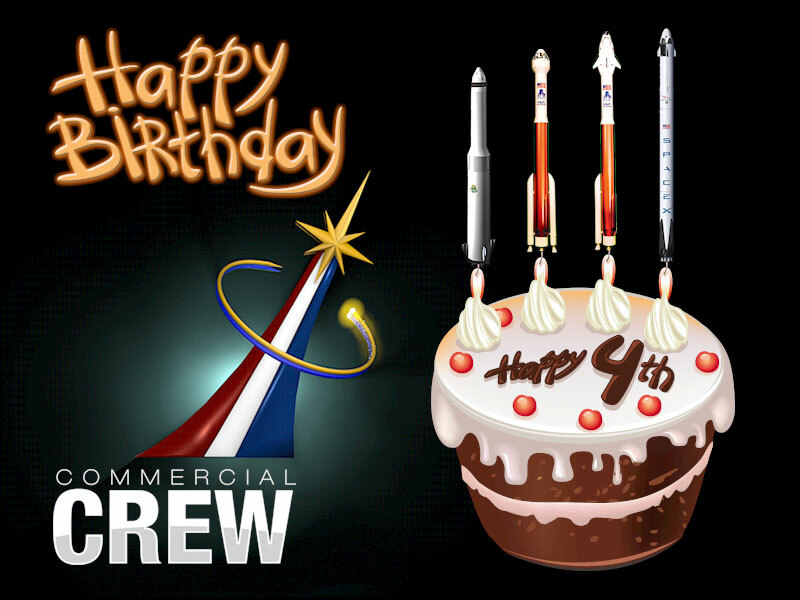 Happy Fourth Birthday to America’s Commercial Crew Program! The Commercial Crew Program is four years old this week, and what a four years it has been — every year seems to bring accomplishments that outpace those of the year before! The program was formed to facilitate the development of U.S. commercial crew space transportation systems with the goal of achieving safe, reliable and cost-effective access to and from the International Space Station and low-Earth orbit. In the past year, we’ve expanded our focus beyond the development stages of spacecraft and launch vehicle systems to complete crew transportation systems. We are working closely with four industry partners — Blue Origin, Boeing, Sierra Nevada Corporation and SpaceX — with our sights firmly set on the horizon of a new dawn of spaceflight in the very near future. We’re moving into the flight testing and certification phase with Boeing and SpaceX, the two companies chosen to take astronauts from American launch sites to the International Space Station. 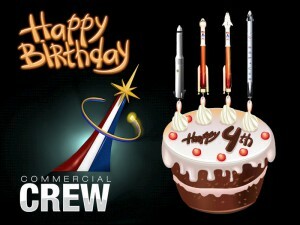 Author Steven SiceloffPosted on April 7, 2015 April 7, 2015 Categories Blue Origin, Boeing, Commercial Spaceflight, General, International Space Station, NASA, NASA Astronauts, Sierra Nevada Corporation, SpaceX1 Comment on Happy Fourth Birthday to America’s Commercial Crew Program! 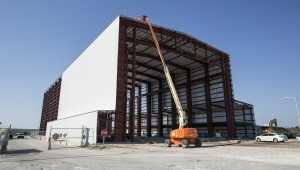 The exterior skin begins to take shape of what will b ecome SpaceX’s new 300-foot-long horizontal hangar at the base of Kennedy Space Center’s Launch Pad 39A. 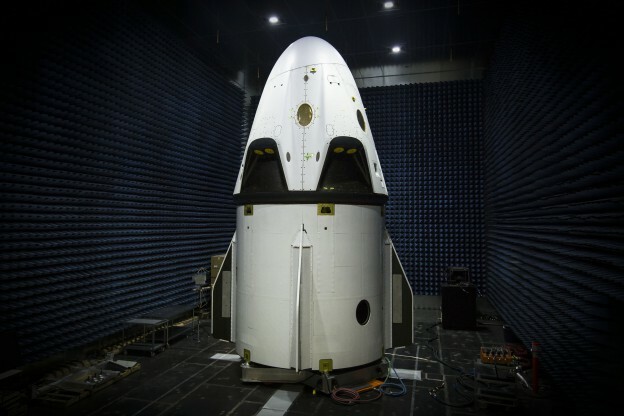 Inside, the company will process the Crew Dragon spacecraft and Falcon 9 v1.1 rocket before being rolled out for launch. 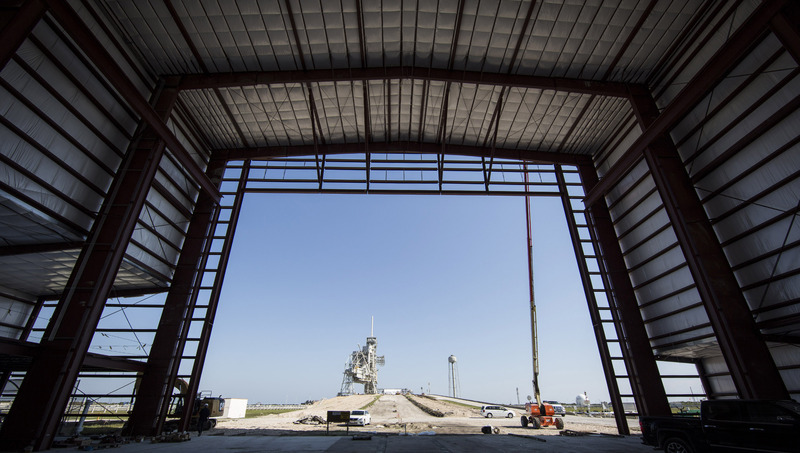 The company also is refurbishing the historic complex for Commercial Crew and Falcon Heavy launches. We always get asked what our Commercial Crew logo means, so here’s a little bit of detail about the stylized swoosh and star that means so much to us here. The central design was inspired by the astronaut symbol of three lines converging at a point topped by a star and unified by a circle representing the goal of putting an astronaut into orbit, shown on the right. For Commercial Crew, we brought the three lines together but gave them different colors – red, white and blue for America – and leaned the whole arrangement to the right to represent moving into the bright future of a stylized spacecraft represented by the star. The three lines also represent NASA working together with the American aerospace industry to accomplish the common goal of safely and cost-effectively launching astronauts into Earth orbit. We also retained a semi-circle representing orbital spaceflights, but we made it into two concentric partial circles that produce a pair of C’s for Commercial Crew. It takes teamwork on a lot of levels to meet substantial goals and the logo was the result of a lot of hard work by Commercial Crew engineer Jon Cowart along with Carol Scott and Mike Sterling who took the time to get the feel just right. They created imagery we could all take pride in and something that would reflect America’s space-faring accomplishments and ambitions.